Whether you express yourself with paint, elaborate costumes or handmade greeting cards, having a studio in your home can provide the privacy and organization necessary to maximize your creativity. However, when you move, your art studio, sewing space or craft room can be one of the most difficult challenges of the transition. Not only must you deal with the actual logistics of moving your studio, but you must also work in such a way that moving day has minimal impact on your creativity. In this blog, we list seven guidelines that can help you maintain your creative flow and move your studio space as effectively as possible. In many areas of your home, it’s obvious when belongings need to be packed. For example, seasonal clothing can go in boxes well before the items you use every day. In your studio, this packing timeline can be less obvious and much more individual. As soon as you know the approximate date of your move, walk through your studio. Create a basic timeline of when each item or item category should be packed up. You may be able to crate or box up finished pieces well in advance of works in progress and your favorite supplies. As you begin putting supplies into boxes, your creative flow may become disrupted in your studio. Instead of retreating to a stimulating oasis, you may feel like you’re entering a construction zone every time you open the door. If possible, come up with a few temporary alternative creative spaces. You may not be able to move all your jewelry fixings to the dining room table, but you could complete a single piece there while your children are at school. You may also want to look outside your home for alternative spaces, like community and conference rooms. Moving takes an enormous amount of planning and work. You will likely spend a lot of time working on your move in the days and weeks leading up to moving day, which may lead to you spending less time on your artwork. To minimize this potential creative block, set aside periods of time where you can be creative without distractions. Your respite may come in the morning before the rest of your household wakes up or once a week when you can slip away. Use this time to do creative tasks you love. If possible, avoid pressuring yourself to finish a particular project during this time as this hyperfocus may also create a creative block. Depending on the art you create, your studio may contain supplies that cannot be sent through the mail or transported by your chosen moving company. 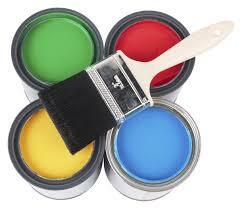 For example, many forms of paint, especially aerosol paint cans, are often restricted. Well in advance, find out if you’ll need to make alternative transportation plans for any supplies. You may need to bring these items with you in your personal vehicle, discard and then repurchase them, or leave certain supplies in storage to be retrieved at a later date. Few challenges can be as frustrating as searching for a creative tool and failing to find it. Preparation and organization can reduce the risk of this scenario, not only in the period of time before your move but also while moving your studio and as you begin unpacking. Begin your efforts by inventorying your studio. You can be as detailed or broad as you feel serves you best. If possible, create a master list you can refer back to as well as individual lists that can go directly into boxes of supplies. One of the largest threats to your creative flow during the moving process is item loss or damage during the transition. You may not be able to jump back into your artistic passion if you arrive at your new home without the necessary equipment. Check with your movers before packing artwork, including canvasses and sculptures, and specialty equipment. For example, you may prefer to have your sewing machine packed by a professional due to the complexity of shipping it safely. In addition to dealing with your current studio space, you should also attempt to acquaint yourself with your new space. If possible, visit your new home and spend some time in the room you imagine creating in. You may even decide to make this new studio one of your alternative creative spaces during the moving process in order to more smoothly transition between studios. Use these tips to optimize the way you create in spite of the often hectic circumstances surrounding a move. When you need to move large, fragile, or specialty items, always work with a professional moving team. For expert help moving your studio space as well as the rest of your home, trust Wheaton World Wide Moving.